3, 2, 1 … Takeoff! 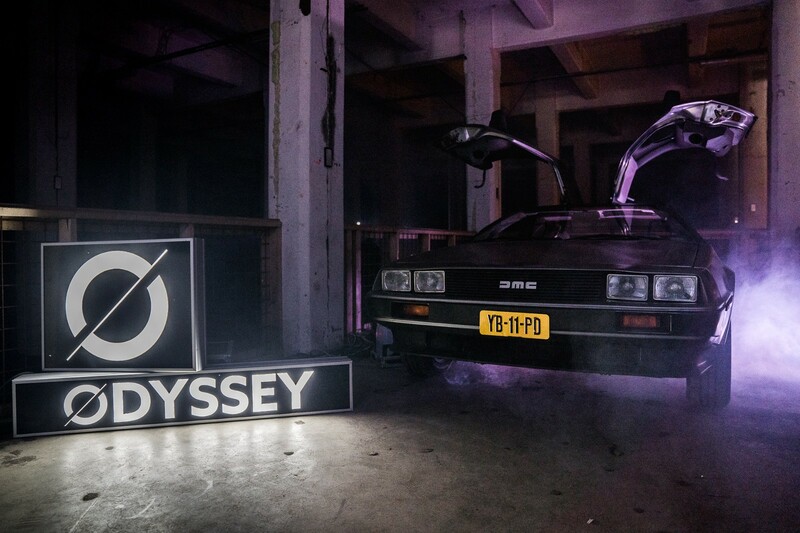 As the Odyssey hackathon takes flight, we explore some tracks, teams, and themes, straight from the grid. 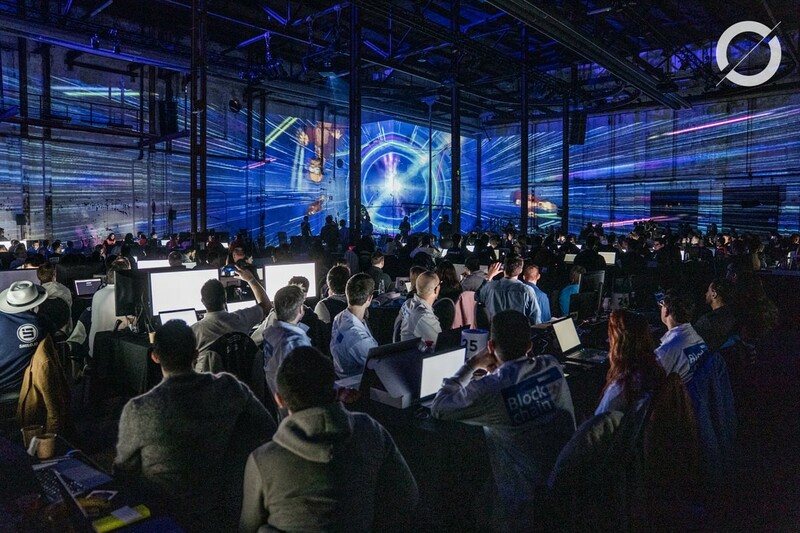 Odyssey, the world’s largest blockchain and AI hackathon, has kicked off in the old Sugar Factory of Groningen City, bringing together 1,500 people from 29 different countries. 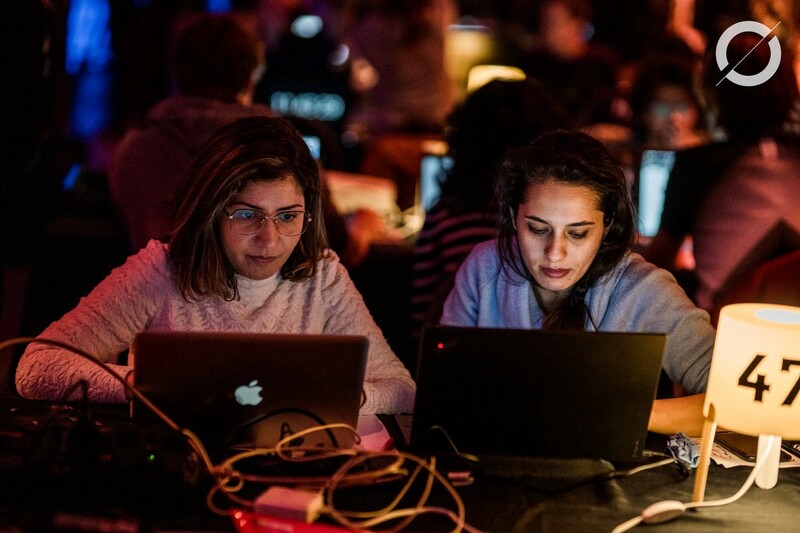 Aimed at addressing complex challenges and highlighting the importance of open digital infrastructure, 100 hackathon teams have a unique opportunity to address these challenges in an extraordinary environment, designed to stimulate new levels of creative genius and co-creation. On Thursday night, an epic opening party at DOT set the scene for the weekend, with a 3D show taking viewers through the solar system, the milky way, and beyond. Today’s opening ceremony called on the Odyssey crowd to question their current understanding of the issues at hand, to reimagine their existing perspectives on what emerging technology can achieve, and to rebuild the world according to solutions which are, at present, unheard of. Those that emerge victorious from the hackathon are, according to our very own Rutger van Zuidam, the teams that go 100 steps further than they ever thought they could. The winners will allow for what is new and unexpected, and be open to innovative ideas through collaboration. 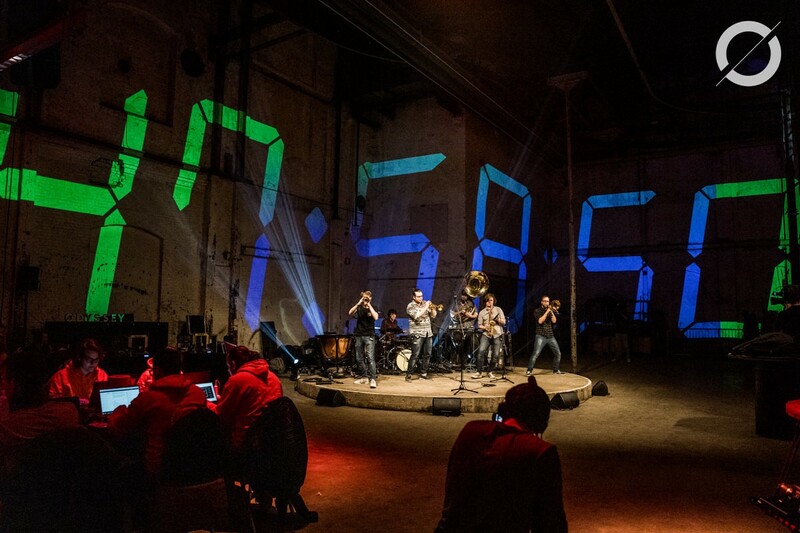 After an epic opening show, an enormous digital timer lit up the wall, beginning at 48 hours and ticking down to zero. It’s time for this room of Odyssey teams, jedi, mayors, supporters, and crews to discover the future by building it. The Netherlands is quickly emerging as a blockchain hub in Europe, with the Dutch government and the Dutch Central Bank openly supporting businesses using emerging technologies, such as blockchain and AI, to improve the public sector and financial services industry. This is evident at the hackathon, where corporate bodies, regulatory officials, and research institutes are coming together with tech startups, legal experts, and tech creatives to collaborate. For the first year ever, we have an NGO amongst us, led by Willie Smits, a world-renowned forestry engineer, microbiologist, animal activist, and social entrepreneur. Today, Secretary General Maarten Schurink of the Ministry of Internal Affairs and Kingdom Relationships visited the hackathon to learn more about some of the teams’ innovative work as it kicks off, showing that the interest in emerging technology in The Netherlands has reached impressive heights. This weekend, multiple teams at Odyssey are addressing the issue of how to track, control, and leverage digital identity in a modernised world. Jorgen Bogaard, Senior Policy Officer for the Ministry of the Interior and Kingdom Relations, mentioned that the goal of the ‘Next-Gen Digital ID’ challenge within the 21st Century Digital Citizenship track is to create a Digital ID tool for doing business with governments safely and securely. The International Travel track is working on the same issue. Denis Skuratovich, Marya Steenman, and Jeroen Pol of KLM Royal Dutch Airlines are working with five teams on the track’s challenge; ‘Safe Communication of Biometric Data’. By creating a digital profile where users scan their passport and face at home, they’re aiming to allow people to move through airports seamlessly and reduce the need for passports. Not only are the teams creating solutions to these puzzling problems, but they must do so while protecting data privacy of potential users of their projects. There is a question mark over how to store data on the blockchain — a public ledger known for transparency. According to Stephanie De Smedt, a general Jedi and GDPR expert for Odyssey’s Legal Partner Loyens & Loeff, this question is popping up all over the grid. Every team is dealing with data in some way. She gave the example of the International Travel track, working on the biometric tool, telling us that in order to have safe cross-border travel, we need to validate people’s identities through data. This brings up the issue of GDPR, which applies to any processing of personal data. However, there are some clear solutions to this problem. One solution, which teams are likely to leverage, is Zero-Knowledge Proof cryptography. Another solution is to use the blockchain for validating, speeding up, and making processes more efficient — but not for storing personal information. This raises questions about centralisation of where the data is stored, and the obvious problems associated with having personal data ‘owned’ by a government or private organisation. Young Odyssey hackers are working on solutions for something that might not impact them for decades. Two universities of applied sciences from the Netherlands are taking each other on head-to-head in the APG-sponsored Rethink Retirement track, creating innovative solutions that may allow us all to retire at the age of 40. Why are these young people motivated to work on the retirement track? Let’s hear it from them! Students from Fontys University of Applied Science in Tilburg admit that, usually, they barely think about their pensions. Now that they are in the Rethink Retirement track, they’re interested in coming up with creative ideas for their own future retirement. From this angle, it seems only logical that young people are on the retirement track, working directly on their own future. The students from the University of Applied science in The Hague told us that the Rethink Retirement track was most suitable for them as a first-time hackathon team. APG wants out of the box solutions, so the assignment is very broad. It allows them to use all of their creativity. From what we can gather, young people joining the retirement track are eager to work on solutions for the future. Who better to come up with solutions than the end users? 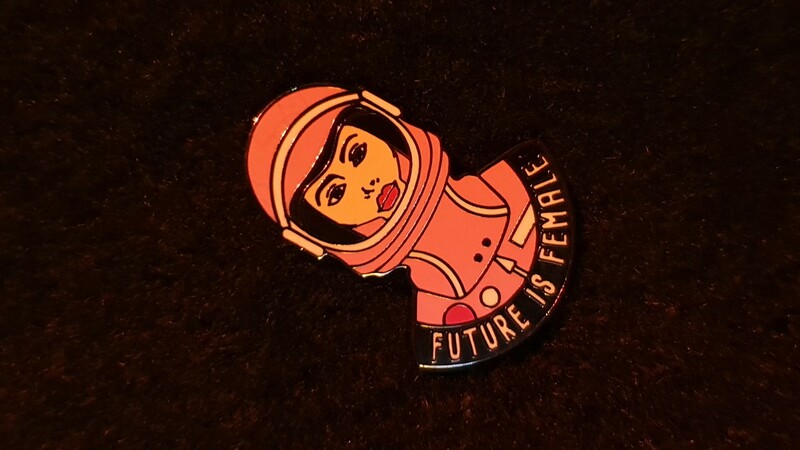 We took to the heart of the hackathon grid to chat to some of the women who are smashing stereotypes and blazing a trail for others to do the same. For businesses to thrive without having a harmful impact on the environment, a switch from a linear to circular economic model is not only paramount, but also logical. The rational path, however, is not always the path of least resistance. As we now operate in an economy where disposability and linear principals are dominant, changing the system will take innovation, collaboration, and commitment to break the existing model. In this new hybrid payment system, fed by material and social assets (such as mobility, data, energy), people can manage and exchange assets other than money, peer-to-peer and against the right exchange rates. The solutions developed in this track should answer how to make all information on real objects readily available in a distributed data ecosystem, thus facilitating a circular, smart economy and minimizing the risk. What if buildings have their own wallets? The companies that joined these tracks are zooming in on the inefficiencies in the current economic systems to make a positive change all round. This, however, requires them to be bold and disruptive, which is why praising their efforts is so critical. Thank you to all those who contributed to this Odyssey Daily Digest: Iris Westerveld, Igor Konstantinov, Maaike van der Post, Wendy Pronk, Mozhde Aliakbari, Stephanie De Smedt, Denis Skuratovich, Marya Steenman, Jeroen Pol, and Jorgen Bogaard.